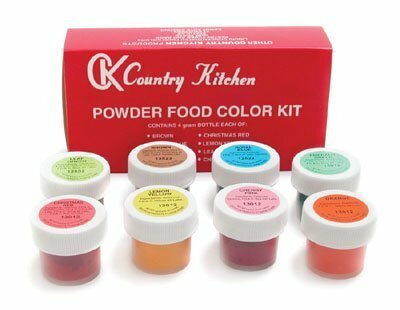 This powdered food coloring is great for coloring frosting, chocolate, fondant and more. You can also brush the food coloring dry on gum paste and fondant to add another dimension of color. You a 4 gram bottle of each of the following colors: brown, royal blue, orange, emerald, christmas red, lemon yellow, leaf green and cherry pink.